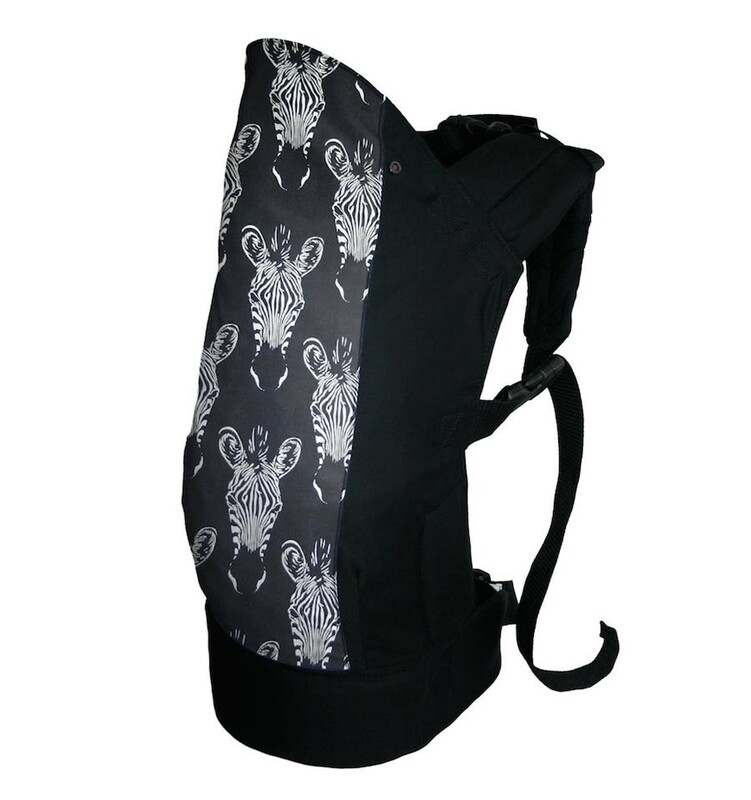 The hand crafted Rose and Rebellion In-Between Carrier is not only a feast for the eyes, with its sweet and boldly looking prints, but is also very multifunctional and handy. 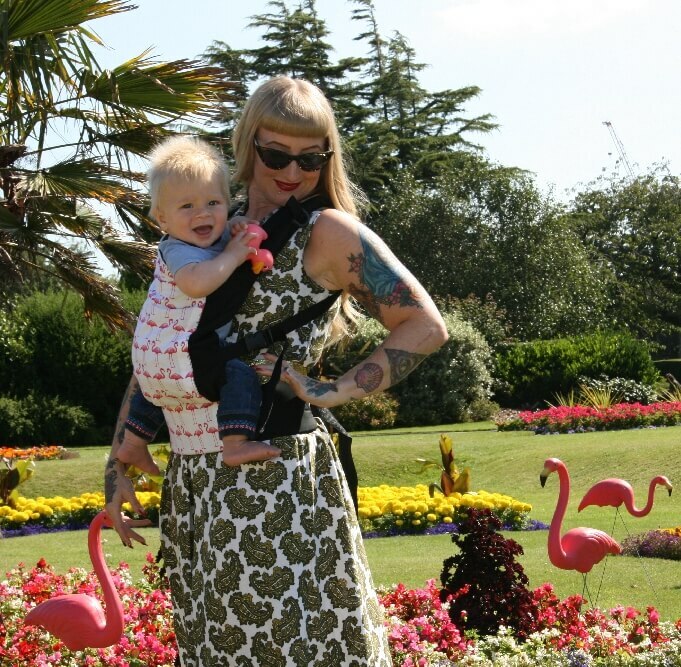 You probably have already heard of the Rose and Rebellion Baby Carrier, but after 2 years it no longer feels so comfortable any more. Your baby has already grown a lot and you start to feel this when you have to carry him or her around in your baby carrier. This means that the time has come to upgrade to the Rose and Rebellion In-Between Carrier. 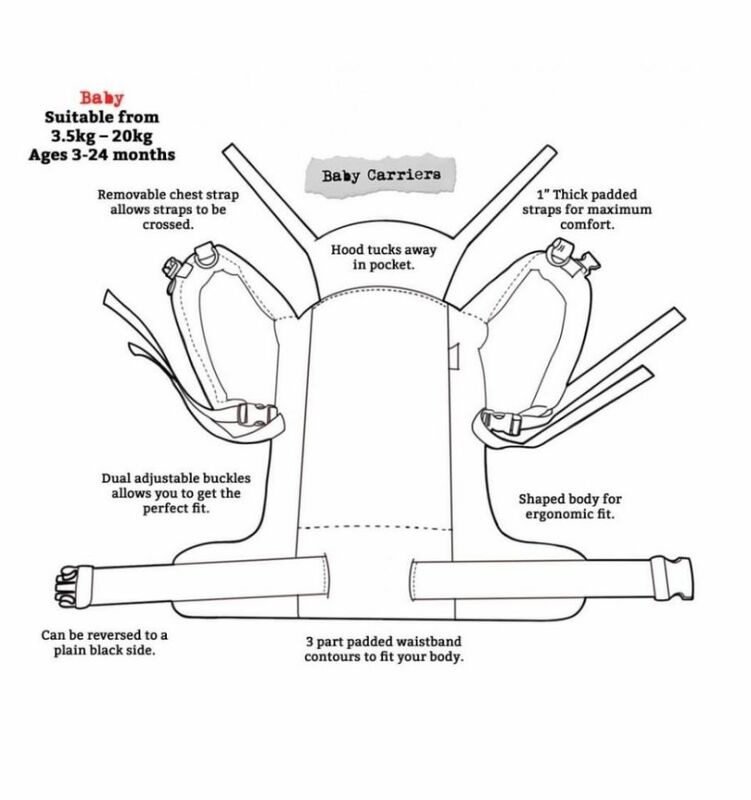 The In-Between Carrier is suitable for children from clothing size 80/86 and can be worn exactly the same way as the baby carrier, on the front as well as on the back. 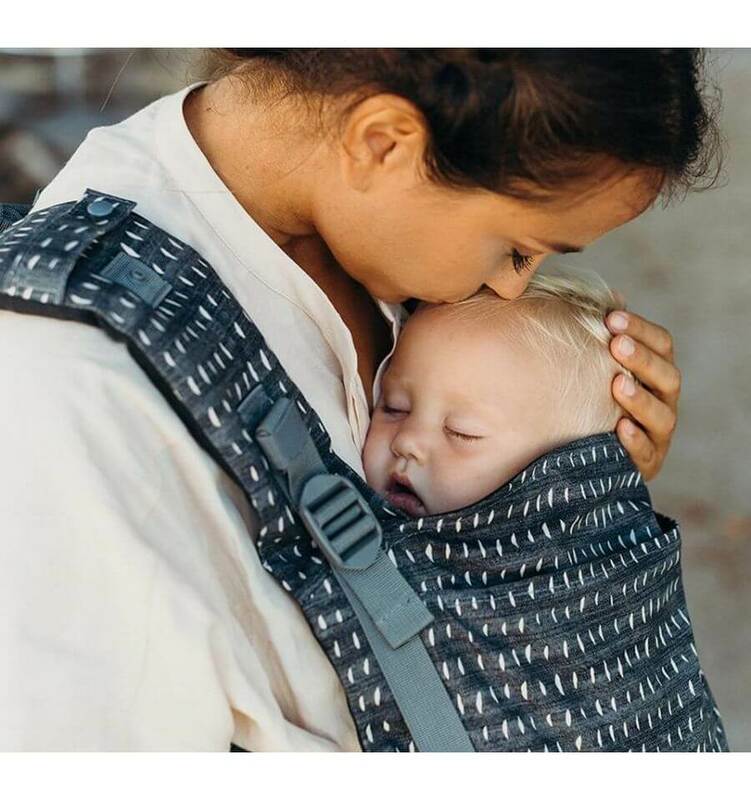 The Rose and Rebellion In-Between Carrier is ergonomically designed with adjustable chest strap, solid waist strap and shoulder straps that can also be worn crossed to enhance the comfort for all mums and dads of morphologic body type. If you don’t like to show off the flashy prints for once, you can simply turn your carrier inside out for a more elementary, plain look. 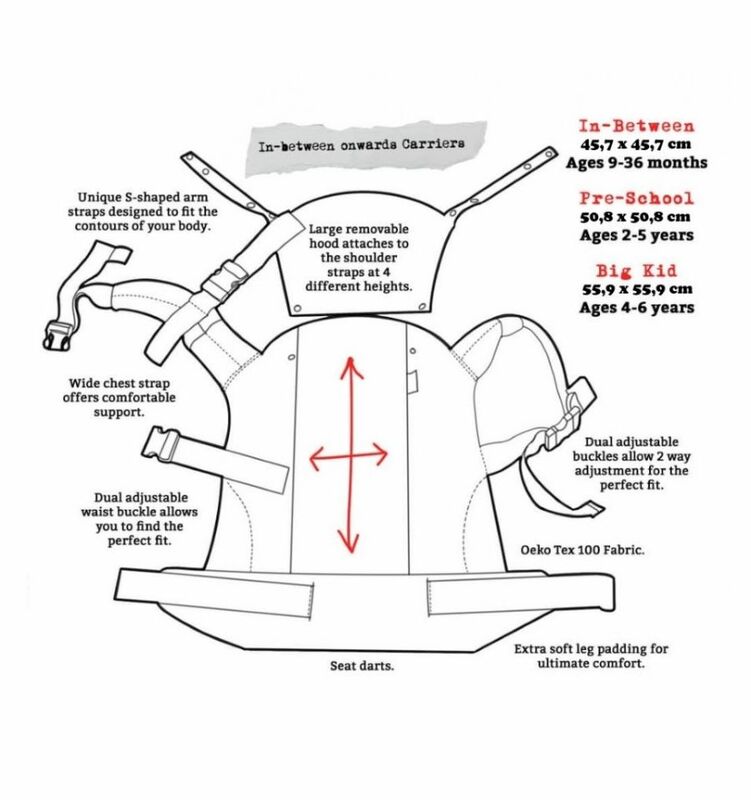 Your baby is becoming bigger now and you need to do some adjustments to ensure his or her comfort. The back part of the Rose and Rebellion In-Between Carrier has been made a bit wider. The so called seat darts take care of the ideal posture. The extra paddings at the leg openings support the legs of your little angel. High quality snap button closures give both parent and child a safe feeling. 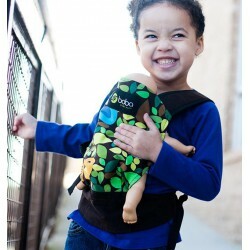 Your toddler can quietly enjoy a stroll from mom or dad's belly or back. For the cute, little sleepers, there is a convenient, removable sleeping hood integrated in the carrier. 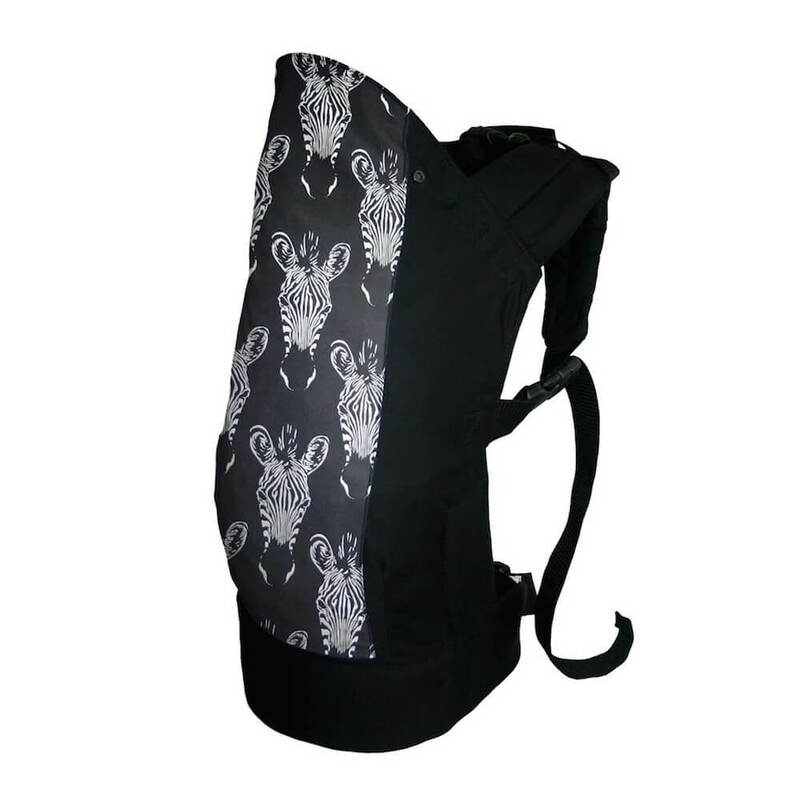 The In-Between Carrier is made of 85% cotton and 15% polyester, weighs 700 grams and is conveniently compact and therefore very easy to fold. You simply put it into your washing machine at 30 degrees when it needs to be washed.